Come on now – sing along, I know you want to. 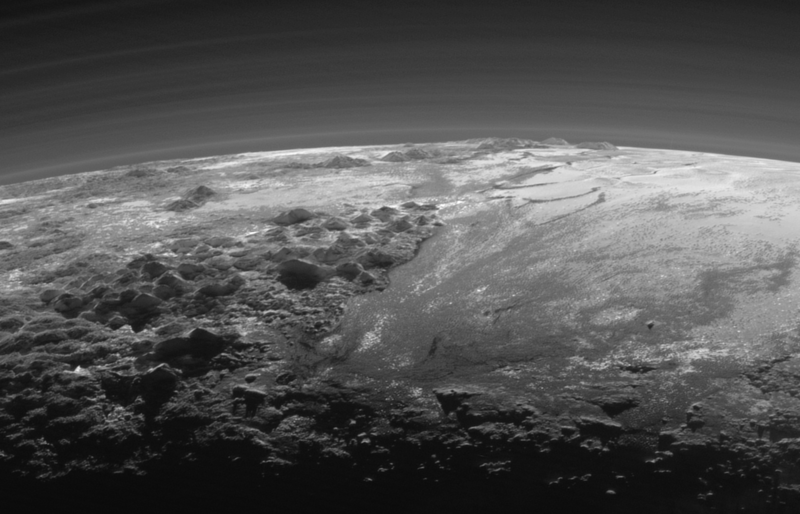 January 14, 2016 -NASA released spectacular images of possible ice volcanoes on the surface of Pluto. 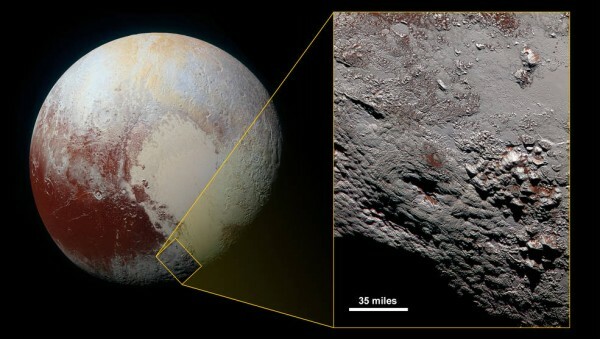 Captured on July 14, 2015 by New Horizons Long Range Reconnaissance Imager (LORRI), geologists are suggesting evidence of cryovolcanic activity. 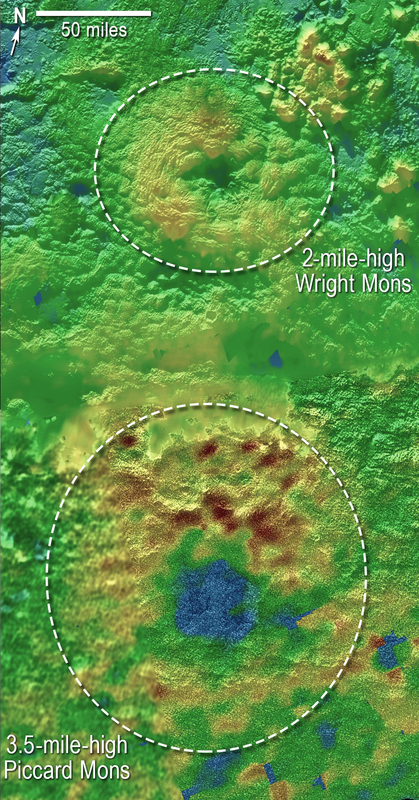 Pictured below is Wright Mons (named by New Horizons mission in honour of the Wright brothers ) Science is intrigued by absence of impact craters (only one crater in vicinity of Wright Mons ) indicating a surface/crust of recent formation. Eruption is the single characteristic ice volcano shares with earthly volcanic perception. 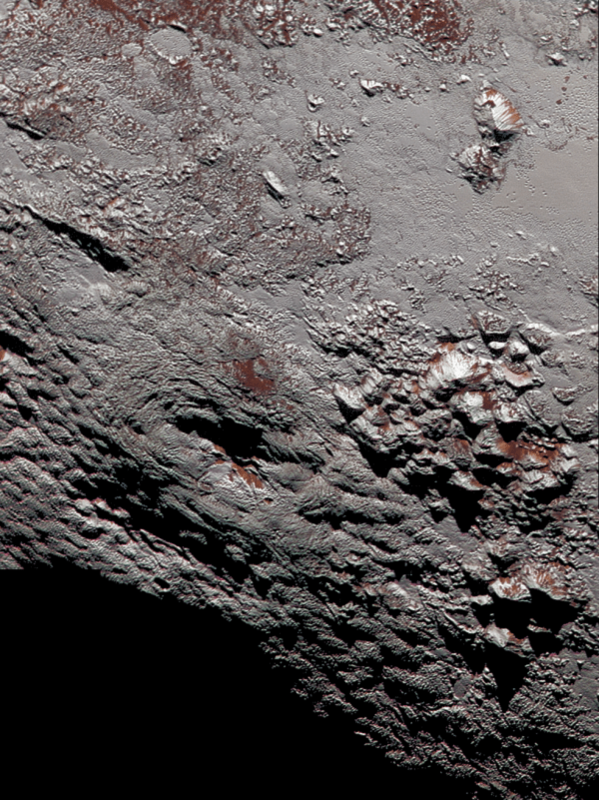 Rather than molten rock, cryo eruption spews a sludge of water, ice, nitrogen, ammonia and methane. Jeffrey Moore, leader of New Horizons Geology, Geophysics and Imaging team believes proof of volcanic Pluto will unlock clues to geologic and atmospheric evolution.